Publication of Volume V of the Lord’s Prayer Mystery Series | RADMAR, Inc.
RADMAR Publishing Group announces Author Richard Davidson’s new novel, Deliver Us from Evil. This novel is Volume V (and the final volume) in his mystery series based on phrases from the Lord’s Prayer. Plot Summary: Arthur and Irma’s wedding day has finally arrived, but an unexpected interruption leads to their need to investigate a possible murder committed by someone close to them. With the aid of friends and federal agents Penny and Joe Gonzalez, they follow a series of clues, crisscrossing the United States to learn more about the murder, related subsequent events, and the significance of a rare object brought home by a veteran of the Iraq War. A second murder close to Pastor Arthur Blake’s church involves them in a new investigation, assisting Parkville Police Chief Bobby Andrews. Are these murders and the tracking of that strange object connected? Will marriage deteriorate or improve the relationship between Arthur and Irma? Character flaws in many relationships color the outcome. This is Davidson’s seventh book and his fifth mystery novel. The five volumes of the Lord’s Prayer Mystery Series are: (I) Lead Us Not into Temptation, (II) Give Us this Day Our Daily Bread, (III) Forgive Us Our Trespasses, (IV) Thy Will Be Done, and (V) Deliver Us from Evil. Davidson has also written the self-help book, DECISION TIME! Better Decisions for a Better Life, and has edited Overcoming: An Anthology by the Writers of OCWW. He is Past President of Off-Campus Writers’ Workshop, the oldest ongoing group of its kind in the U.S. and the founder of the ReadWorthy Books Book Review Blog. Mr. Davidson is a Certified Lay Servant Speaker and a former Lay Leader in the United Methodist Church. He is also an aeronautical and astronautical engineer and a businessman. 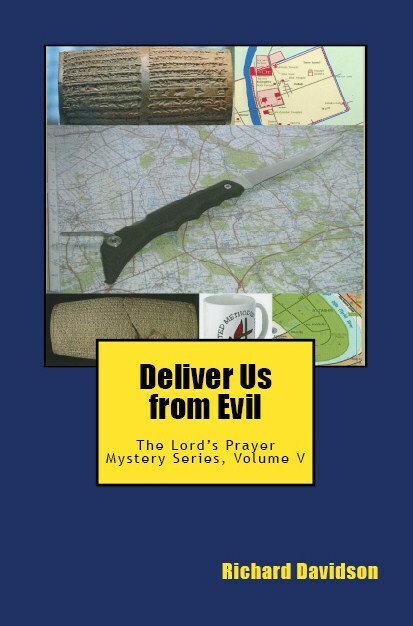 Deliver Us from Evil is available in paperback (ISBN 978-0-9829160-3-2) from amazon.com, barnesandnoble.com and other online vendors. The book can also be ordered from most bookstores in the United States and the United Kingdom. More information is available at the author’s official website, davidsonbookshelf.com.